We are taking on new patients now. Local residents may know Graham already. Graham was raised on Marden estate, attending St Mary’s RC Primary School, Marden High, then going on to what was then Tynemouth College. Graham enjoys, and is passionate about, all aspects of general practice family dentistry, with a particular interest in restorative, cosmetic and simple orthodontic treatment. With an over-riding emphasis and drive on quality, a ‘prevention not cure‘ philosophy, and keeping treatment as non-invasive as possible. 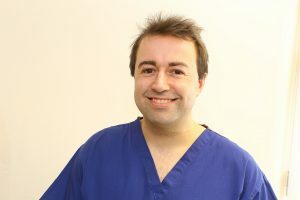 He has over 11 years experience as a dentist, qualifying with Bachelor of Dental Surgery from Newcastle University in 2005 with a distinction in restorative dentistry and also receiving the John Hopkins prize for overall contribution to the dental school. Graham also holds a BSc first class honours degree in Applied Biology. Graham gained his post graduate MJDF qualification from the Royal College of Surgeons in 2010 and has also completed two postgraduate courses in restorative dentistry. He is also a registered practitioner for the Somnowell anti snoring appliance and takes great pleasure in seeing the resulting improvement to patients’ (and their sleep partners) quality of life / sleep. He will be bringing these and many new treatments on board at Broadway Dental Practice including facial aesthetics, so please ask if you would like to know more. Graham also holds an Associate Clinical Lecturer position assisting on clinics and with delivering the undergraduate curriculum at Newcastle University Dental School and Hospital. He prides himself on being caring, friendly and ethical and aims to put all anxious patients at rest. He takes pride in all of his work using magnification and illumination for all procedures including dental health checks (check ups) something which ensures optimal and early diagnosis of any problems and therefore optimal quality of treatments. Above all, Graham would like you to feel relaxed, at ease and well cared for at all times. Denise came to the practice with 18 years experience in customer service with a large communications provider. Her role is making sure that patients get the best possible service and ensuring that it maintains the highest level of regulatory compliance. Away from the practice Denise enjoys going to concerts, cycling, walking and travel. 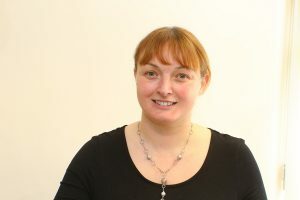 Nichola started working as a dental nurse in 1990 and qualified in 1992. She has worked in various practices over the years and with many dentists , gaining many skills and a wealth of experience in the dental field both clinical and non clinical. In her spare time she enjoys travel and weekends away, baking, reading, watching movies and spending time with her family and friends. 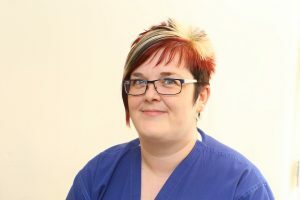 After spending her childhood in Yorkshire, Josie attended Newcastle University where she completed her Dental Training. During her early years in practice she completed FPT (Further Professional Training) in oral surgery, orthodontics and restorative dentistry. Josie also became involved in the training and development of new graduates to work in practice, with both the one year and two year courses. 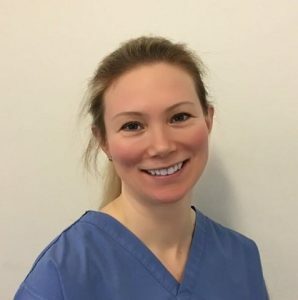 During 2008 – 2010 Josie undertook implant training at Newcastle Dental Hospital, gaining the clinical skills to both place and restore implants. She has been placing and restoring implants in general practice since. She is a member of both the ITI (International Team for Implantology) and ADI (Association of Dental Implantology) and regularly attends study clubs for both as well as Nobel Biocare. Josie lives in Newcastle with her 2 teenage children and 2 dogs Susie (golden retriever) and Arthur (black labrador). She enjoys walking in the countryside, running, theatre & cinema, socialising, baking and spending time with family and friends. In 2017 Josie completed the Great North Run for the 12th time and took on a new challenge ‘Race to the Stones’ – a 100Km course over 2 days to raise money for MNDA (Motor Neurone Disease Association) which supports families who are affected by MND. Amy is currently undertaking her Dental Nurse training and will be qualified in 2020. 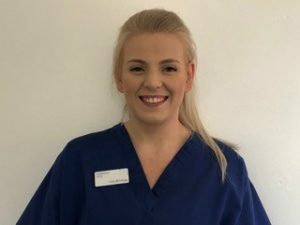 After spending one and a half years at the University of Hull studying Adult Nursing, Amy realised that career wasn’t for her and decided to start training to be a Dental Nurse. So far in her training Amy has developed an interest in dental implants. Amy has a 16-year-old black and white cat called Meg, and often helps out looking after her partner’s Yemen chameleon named Lizzie, and Bruno the musk turtle. In her spare time Amy enjoys going to the gym, travelling, cooking and spending time with family and friends.